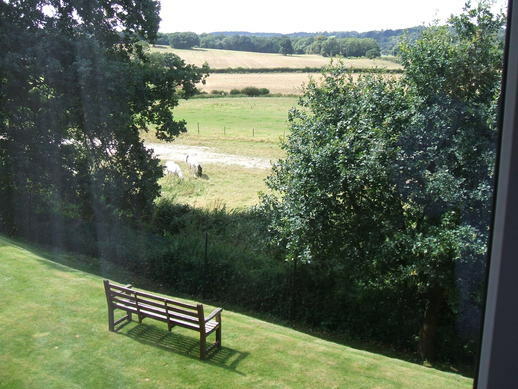 Autscape 2009 will be held in a venue in West Wickham (external link), which is in Greater London in Kent. The address of the venue will be given to you after booking for this year's event opens. This web-page describes the 2009 venue. To see a larger version of any of the images on these web-pages, click on the image. Should you need any further information after you have read these pages, you can ask on the autscape chat email list or privately email the Venue Coordinator. The venue consists of two buildings which are joined together. The conference rooms, dining room and bedrooms are all in these two buildings so there is no need to go outside unless you choose to. The accommodation for 2009 consists mainly of twin rooms. There will be a few single rooms; priority for these will be given to those who have a medical reason for not being able to share. It is possible to have a room with three beds if you need it, for example if you are coming with two young children. Please mention your room requirements when you book. We will send out a room-mate questionnaire to people sharing a room. If you know who you want to share with you can specify this at that time or when you book. Don't worry if you don't have anyone to share with. We will match you up with a compatible roommate. The rooms are on the ground floor, first floor and second floor. There is a lift to most of the bedrooms and a staircase. 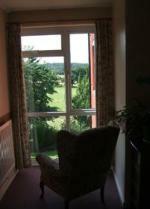 Let us know when you book if you may need to use the lift or would prefer a ground floor bedroom. 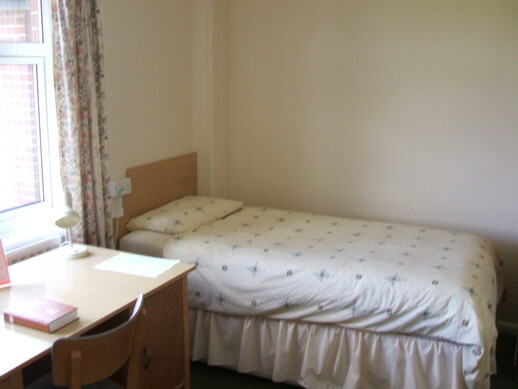 Bedrooms have sinks (hot and cold water), comfy chairs and a desk which is usually located between the two beds. Some bedrooms have wireless access, if you would like one of these please tell us so when you book. There is one towel per person provided. Each adult room occupant will have their own bedroom door key. The bathrooms are lockable rooms (not cubicles), much as you'd find in a house with each bath having an overhead shower. A couple of the bathrooms have being adapted for the physically disabled. If you would like to use one of these let us know when you book so that we can make sure your bedroom is close to one. 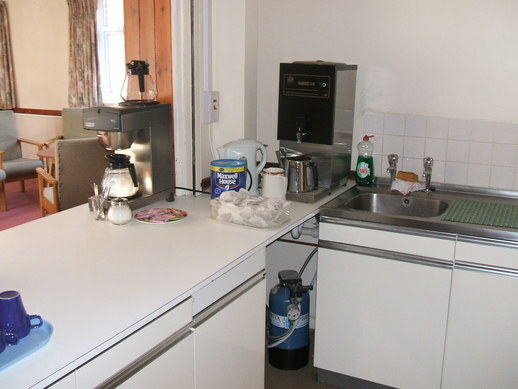 There are a number of kitchenettes in the accommodation area. Each of these has tea towels, tea/coffee making facilities, biscuit tins, and a fridge (with small freezer on top shelf). Some have an iron and a hair dryer. The ground floor one in the North wing has a washing machine. 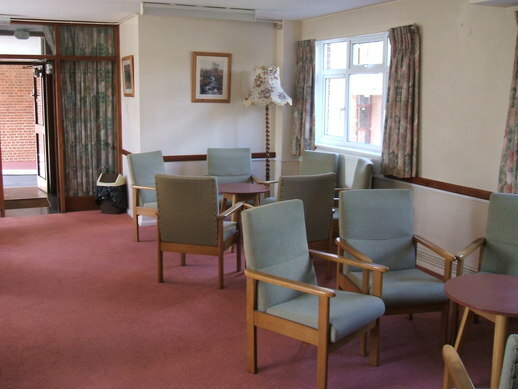 The corridors near the bedrooms have alcoves and other areas where you can relax. 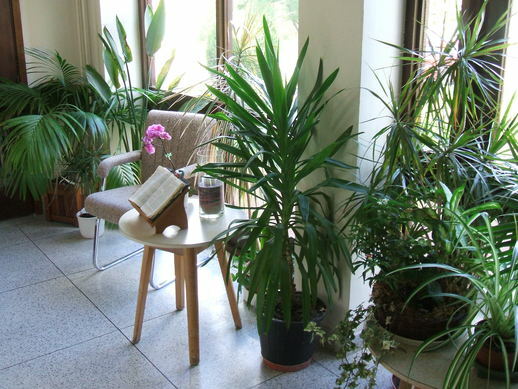 The picture shown (below) is atypical having only one chair; most of them have two chairs, a table and a desk lamp. 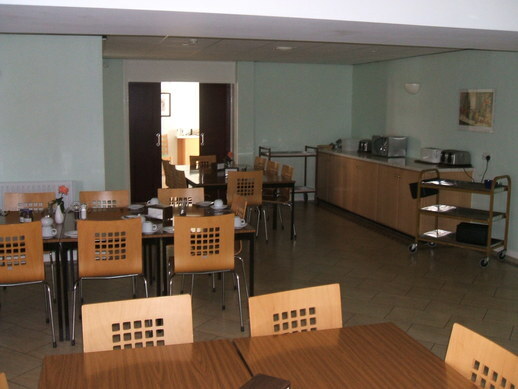 Essential toiletries, toothpaste, water bottles and chocolate can be bought from the back of the dining room. An honesty system operates whereby you select your product and put your payment into a box provided. 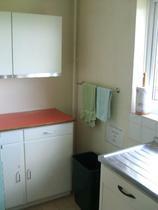 Bathrooms and kitchenettes are cleaned each morning and checked again each afternoon. If supplies are running low they will be replenished at these times. Our bedrooms will not be serviced during our stay. There are two computers we can use for internet access and some bedrooms have wireless. Mobile phone coverage is good (venue is up a gentle slope) and there is a pay-phone. The venue sometimes hosts silent retreats so the staff understand how to behave around people who prefer not to speak. They have had our interaction badge system explained to them. Car-parking is available in the venue grounds. Should your car alarm go off then the venue staff will contact you night or day regardless of your preferred interaction status. Otherwise your alarm will disturb other people. When you arrive at the venue you will be asked for your car registration number and this information is passed to the venue staff. Some of the second floor bedrooms we will use are in the same wing as the live-in staff bedrooms. If you have a bedroom here you will need to be quiet at night and be comfortable sharing bathroom and kitchen facilities with strangers. If you would prefer not to have one of these bedrooms please indicate this when booking. There will be three meals per day provided for people staying on-site. If you attend for days only or are staying off-site lunch and supper will be provided. 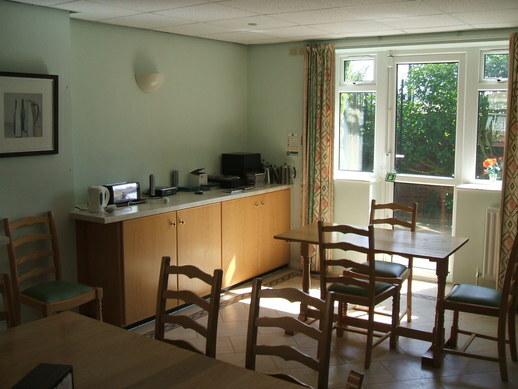 While self catering is only available for those who need it for medical purposes, there are tea/coffee making facilities and fridges and for all participants to use in the kitchenettes near the bedrooms. The kitchenettes will contain tea and coffee and biscuits. These will be replenished on a daily basis. There are convenience stores and takeaways within walking distance of the venue. Nearer the time we hope to be able to tell you which activity will be where. You can click on the photos to see a larger image. This is the room where most of the presentations will take place, it has adequate natural light so we can avoid turning on the lights during the day. 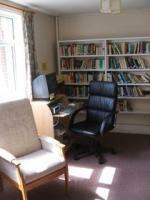 We can use this room in the evenings to play the piano or watch films. Next to the Conference Hall is a Lounge. In the evenings people can meet here and drink the provided tea and coffee or bring their own drinks. Between the Main Conference Hall and Lounge there is a kitchenette. This may be used for the morning and afternoon tea/coffee breaks. There are two computers in different rooms, both of which we can use. In addition some of the bedrooms have wireless access. In addition to the conference hall there is also a conference room. This may double as the creche during the day. 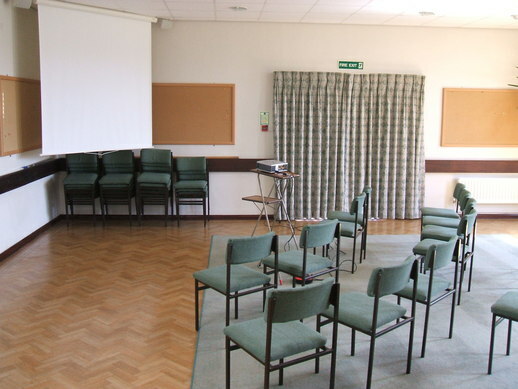 There are three smaller discussion rooms of different sizes. There are two library rooms. One for religious books and one for fiction. Both these rooms have comfy chairs you can relax in. The venue has a chapel on the ground floor. This chapel has an organ. There is also some seating before the chapel itself for those who don't want to go into the chapel itself. Both the chapel and the small area outside it are good places to go if you need silence. This page describes the venue grounds and the area around the venue. If you select any of the photos you will see a larger version of that photo. 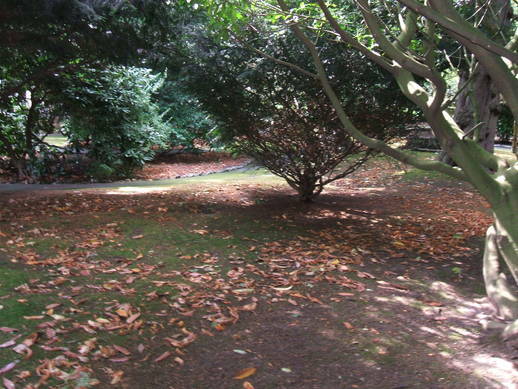 The venue grounds include an attractive rose-garden and woodland area. The paths through the garden are designed to be accessible. 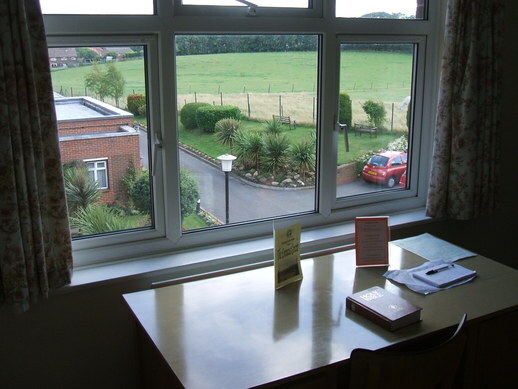 Many of the bedrooms have views of the surrounding Kent and Surrey countryside. 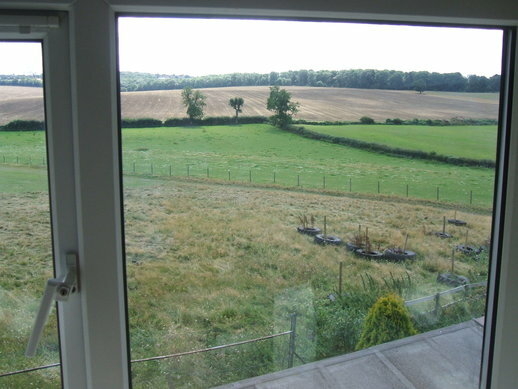 There are pleasant walks along nearby footpaths and country lanes. The venue has a convent on its grounds. The convent grounds are private. They are well signposted as such. If you happen to stray into them you will probably be asked why you are there, and you'll explain you are with Autscape but they will not be annoyed with you. Mainly the convent inhabitants don't want noise in the convent grounds. Between the venue and the venue gates are some flats for senior citizens. If you have children please make sure they are careful not to run into any of these residents. On one side of the venue is farmland. There is a field with horses in it right beside the venue. You may follow the paths through this field but please don't feed the horses. There is a green park diagonally across the road from the venue gates. As the venue building is up a slope away from the venue gates it is far enough away from the building that no noise from it is heard at the venue. 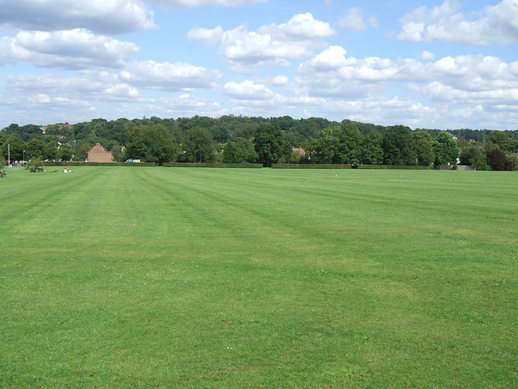 This is a public green space and has paths, fields including football goals, benches and trees. We also saw some tennis courts and a skateboard park. The road you cross to get to this green is quite easy to cross; the traffic is not heavy. At the far side of the green, there is a residential area which has a couple of shopping streets. If you prefer not to walk through the green to get to this area you can catch the bus number 138 instead. This service runs approximately every 20 minutes during the day and is half-hourly in the night time, the bus stop is very close to the venue gates. The local shops include a Cooperative and a Londis which are both mini-supermarkets (and also sell alcohol), a fish and chips shop, an Indian takeaway, a Chinese takeaway, a newsagent and a pharmacy. About a mile away in a different direction than the shops is West Wickham swimming pool.